CALGARY — Sometimes, all you really need is someone to give you a chance. 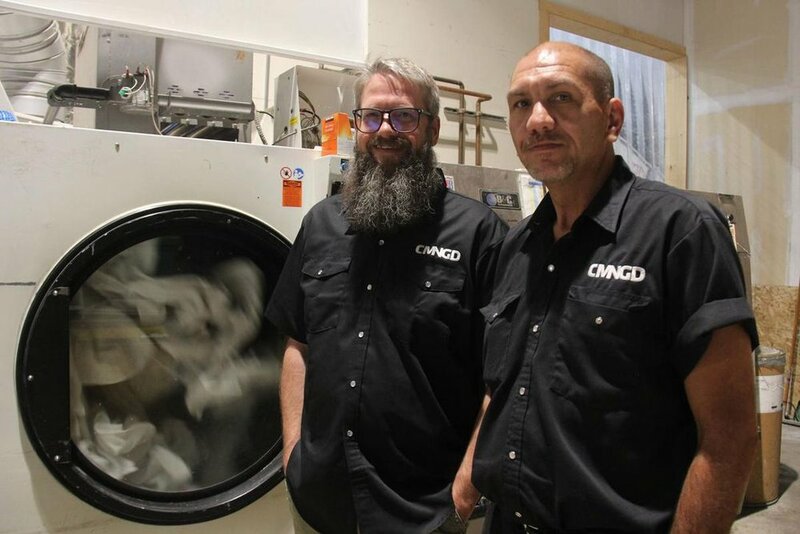 That’s the philosophy behind CMNGD (Commongood) Linens, a company that hires people who are homeless, in recovery programs or refugees that may face barriers in securing employment. Gary Gattie has been working for Commongood Linens for two months. Gattie is an engineer, but has struggled with a drug addiction for 20 years, which cost him his job. Since he started the business, Cree said some of his employees have been able to leave shelters and move into homes. He started the business two years ago, but it’s something that’s been rolling around in the back of his head for a decade. He experienced a day of homelessness, where he was supposed to beg for money, as part of a social justice course. If people did talk to him, it was either a rude comment or asking if he wanted to buy drugs. In the last two years, his business has grown and now provides service to around 50 restaurants and hotels in Calgary and Canmore. They moved from the basement of the Drop-In Centre and now own a warehouse. Commongood Linens hires employees through several agencies in the city: the Drop-In Centre, Fresh Start Recovery, The Alex and the Mustard Seed. Employees are hired on a casual basis. After a three month probation period, where they prove commitment to their job and show a positive attitude, they gain full-time hours and a living wage of $18 an hour. Cree said the enrolment policy is very open. If someone doesn’t have an ID or bank account, he’ll pay them in cash. At the same time, they’ll work to get some kind of identification and a bank account started for them. It can be a challenging way to run a business, but making sure the environment is positive is key. Cree said although it can be a challenging business model, it’s something we may be seeing more of. — Dave Cree, cofounder & CEO of CMNGD Inc.